You can find out how to report a lost or stolen Nectar card, how to get a replacement, what to do if you have lost your Nectar card number and more with this guide. If you’d like to report your Nectar card as lost, you can phone the number 0843 557 3571. It’s important that you call this number as soon as you realise the card is gone to protect you from it being used without your knowledge. You can replace your lost Nectar card by going to the Nectar.com website and selecting the login option. Once you have selected the log in option, you will find a ‘forgotten card number or lost card’ button which you need to click on. You will be given two options, one for if your card has been lost or stolen and one for if you have just forgotten your Nectar, select the ‘Replace Nectar Card Now’ button under the lost or stolen header. You will then be asked some security questions which will be your surname, date of birth and postcode, this will help to find your Nectar card account. From here your current Nectar card will be frozen to make sure nobody else uses your points. You will be sent a new card immediately it should arrive within 1-2 weeks. If your new Nectar card has not arrived you can call the Nectar card team on 0843 557 3571 to inquire about where it is and whether it was sent out. If you have lost your Nectar card number you can go online to their website and select the login option. Click on the ‘forgotten card number or lost card’ button, then select the ‘retrieve Nectar card number’ button under the ‘left somewhere safe’ header. You will then also be asked for your surname, date of birth and postcode to identify your Nectar card. 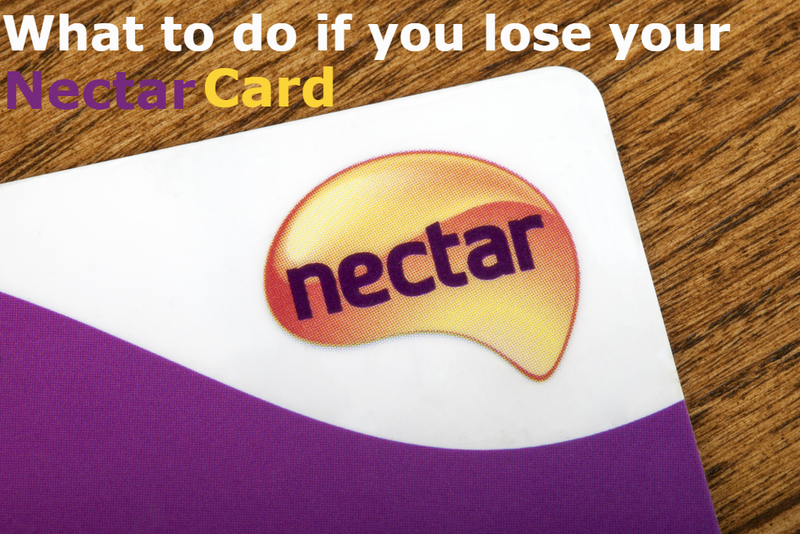 You can still collect points if your Nectar card is lost or you’re waiting for your replacement Nectar card. You can use the Nectar toolbar if you’re already logged in and you will be able to earn Nectar points on over 500 online partners. You can also earn Nectar points online with the online Sainsbury’s shop. If you have done some shopping in Sainsbury’s during the time you’re waiting for your new Nectar card you can take up to 2 receipts with you within 14 days of the purchase to Sainsbury’s when your new card comes to get the points put on. You just need the receipts and the Nectar card for the points to be credited to your account.